The militants 15 times violated ceasefire in Donbas. The situation in the area of the anti-terrorist operation in Donbas is gradually stabilizing as the Russia-backed militants 15 times opened fire on the positions of Ukrainian servicemen but did not use artillery or other prohibited weapons, the press center of ATO reported in Facebook on 5 July. Seven instances of enemy shelling were recorded in the coastal sector. 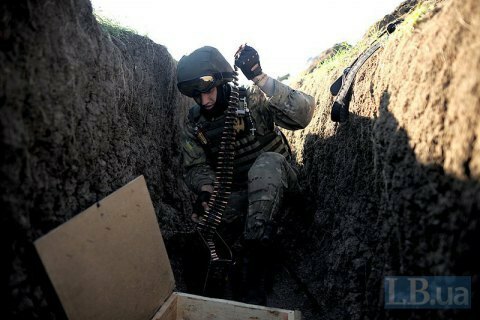 In the evening, the separatists shelled the positions of the Ukrainian military in the area of Pavlopil, Lebedynske, Hnutove and Shyrokyne using small arms, and a heavy machine gun - near Vodyane. In the morning and in the afternoon the militants used automatic grenade launchers in the areas of Hnutove and Lebedynske. In the Donetsk sector, before dawn, the militants fired grenade launchers, heavy machine guns, and on several instances - the IFV armament on the positions of the Armed Forces in the area of Avdiyivka, Opytne, and Zaitseve. In total, the HQ recorded six instances of the ceasefire violations in this sector. In the Luhansk sector, there were two instances of the ceasefire deal by the militants. In the afternoon, the reinforcements of ATO near Kryakivka came under the fire of enemy grenade launchers and infantry fighting vehicles. Late at night, militants fired small arms of various calibers and grenade launchers on the positions of Ukrainian military who hold the defense near Stanytsya Luhanska. "Not a single Ukrainian soldier suffered from enemy shelling last day," the headquarters said. According to the recently announced estimates by the Ministry of Defence of Ukraine, the damage to the infrastructure of Donbas from military operations runs into 50 bn dollar figure.